I remember seeing that Carl's Jr. would launch some crazy burgers that contain beef patty, cheese, hotdogs and potato chips. Yesterday, we went to Carl's Jr. after arriving at San Francisco, and I sure tried the smaller one called "The 1/3lb. Most American Thickburger." It's launched on Monday 20, 2015, so it's very new like the advertisement says. 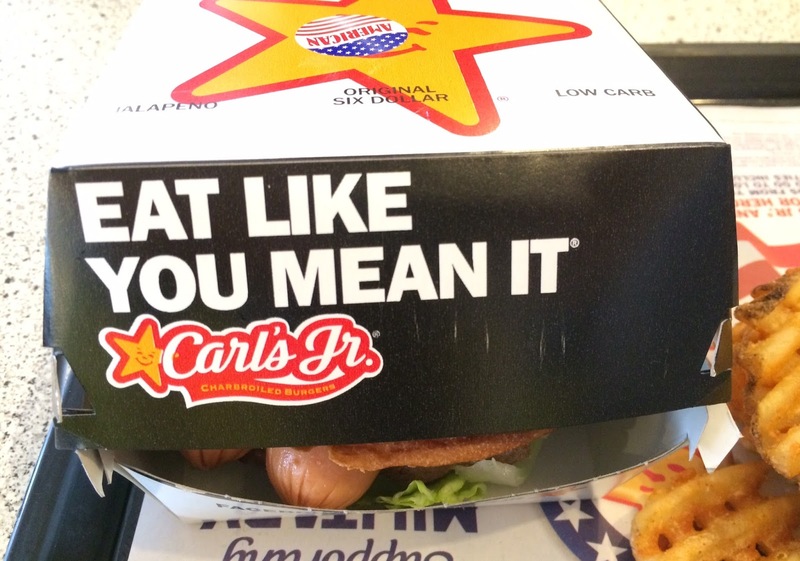 * The ad is 1/2 pound burger. Unlike the one in downtown in San Francisco, this branch was much cleaner, larger and more welcoming. 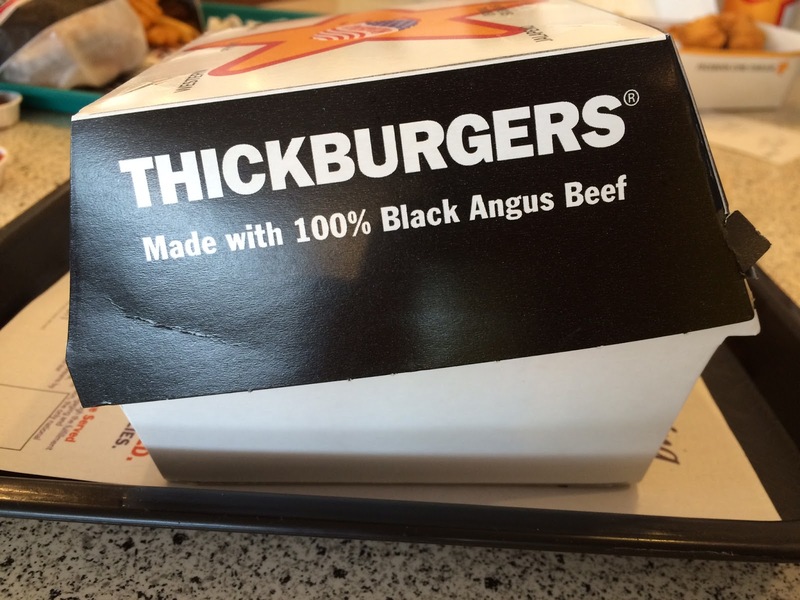 When I asked if The 1/3lb. 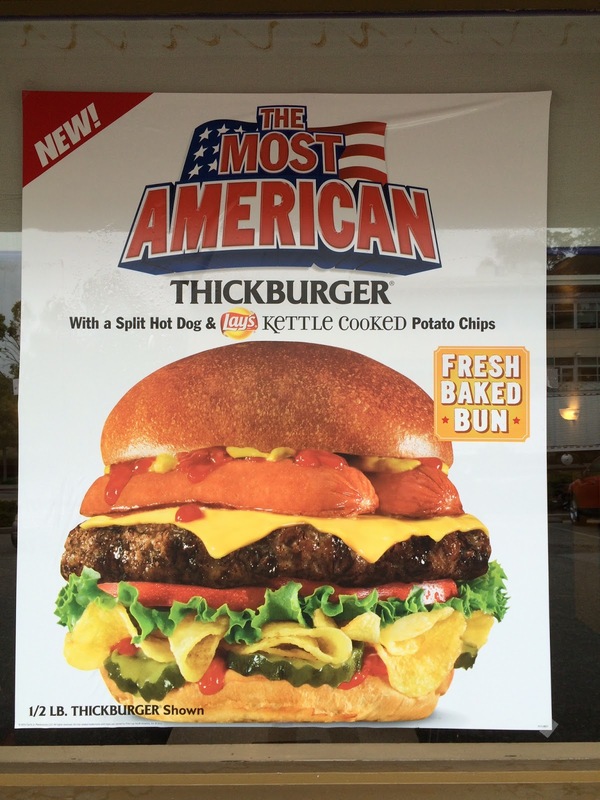 Most American Thickburger contained mayonnaise, then the cashier said no but only ketchup and mustard, so I could get it as it was. 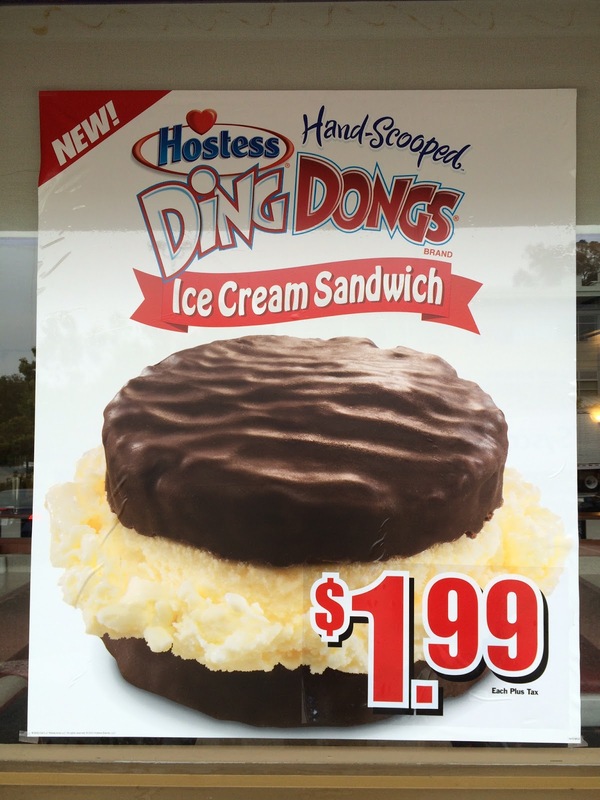 Also, I ordered a Hostess Ding Dong Ice Cream Sandwich, which is a limited time item and launched on the 20th, too. 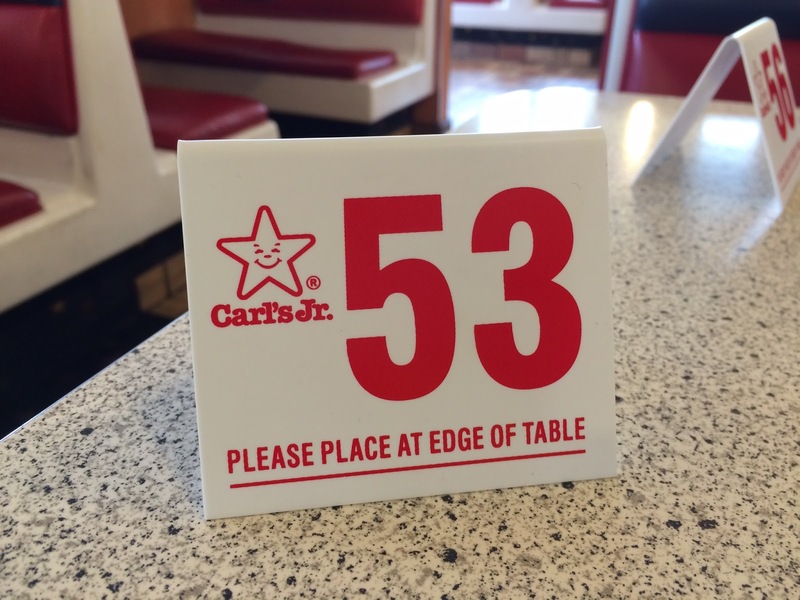 When we paid, we received a receipt and a piece of plastic with a number and waited at a table. 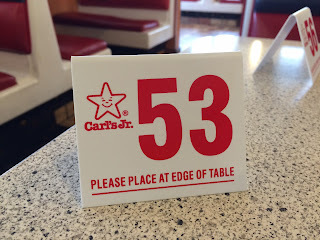 When one of the cashiers brought the burgers, she asked me if I wanted the ice cream together, and when I said no yet, she said I could tell her when I'd be ready. The burger was so thick like the name that the box didn't close. 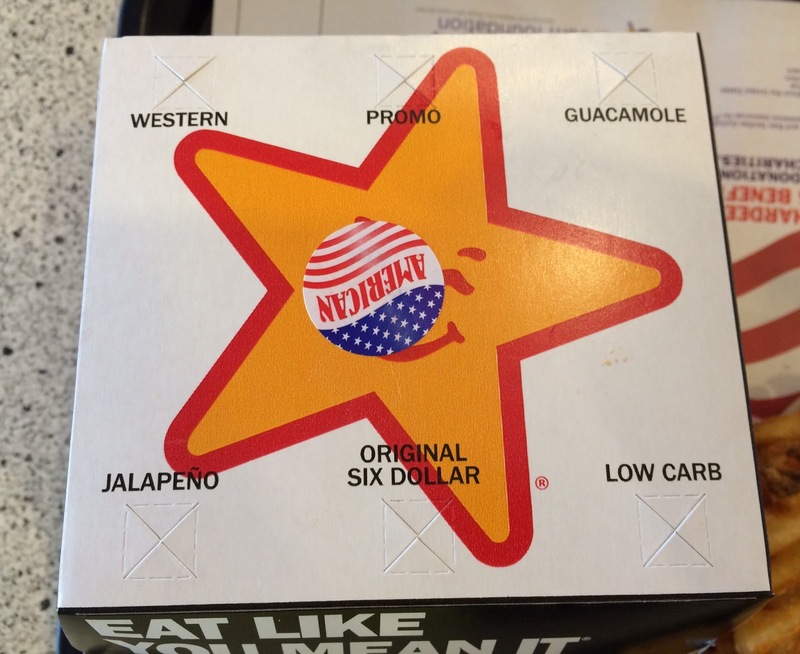 On the Carl's Jr. star, there's a sticker "American" to tell the content is The Most American Thickburger. From the side; it's very difficult to hold it as it's heavy, tall, and a lot were going on. 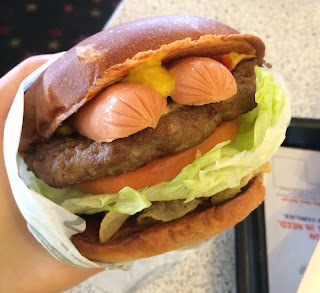 From the top, there's a bun, ketchup, mustard, a split hotdog, an American cheese, a beef patty, tomatoes, lettuce, potato chips, pickles and more ketchup on a bottom bun. It's a messy burger as it looked and while holding and biting the humongous and heavy burger, lots of condiments and water were drizzling from the bottom of the paper wrap. 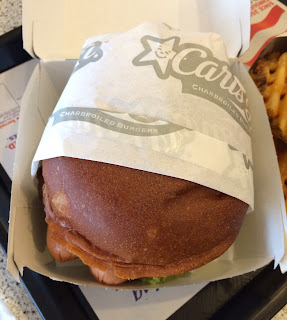 The buns were said "Fresh Baked Bun" and I could see that at least they toasted that soft inside and fragrant and golden brown outside buns, and the white buns had subtle sweetness. The potato chips were Lay's Kettle Cooked chips, which are thick sliced, so that many stayed crunchy though they're between some wet ingredients. 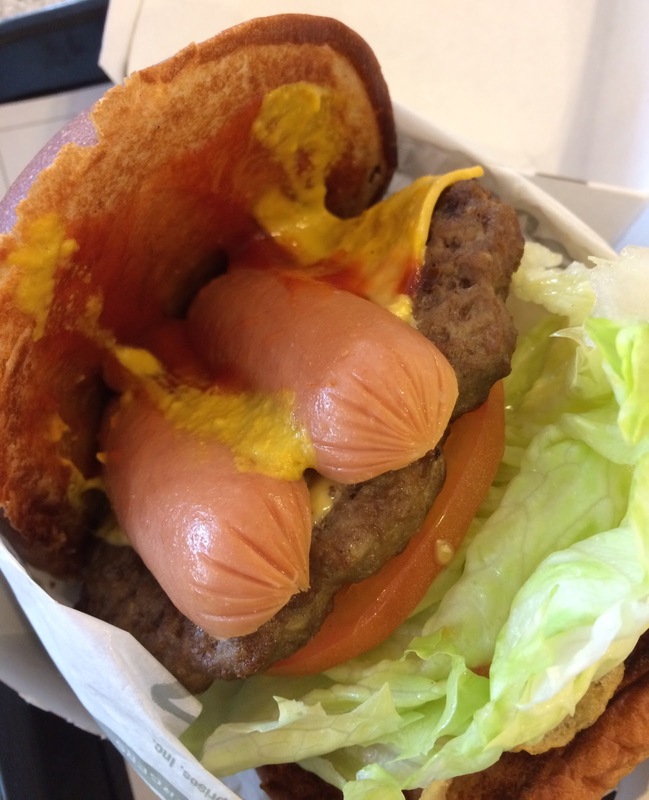 The split hotdog didn't look like it's grilled as it's supposed to be and they're more like boiled. I couldn't tell if they used pork or beef hotdog, but it tasted like the same as the hotdogs sold on the street in NYC, which I mean beef hotdog. 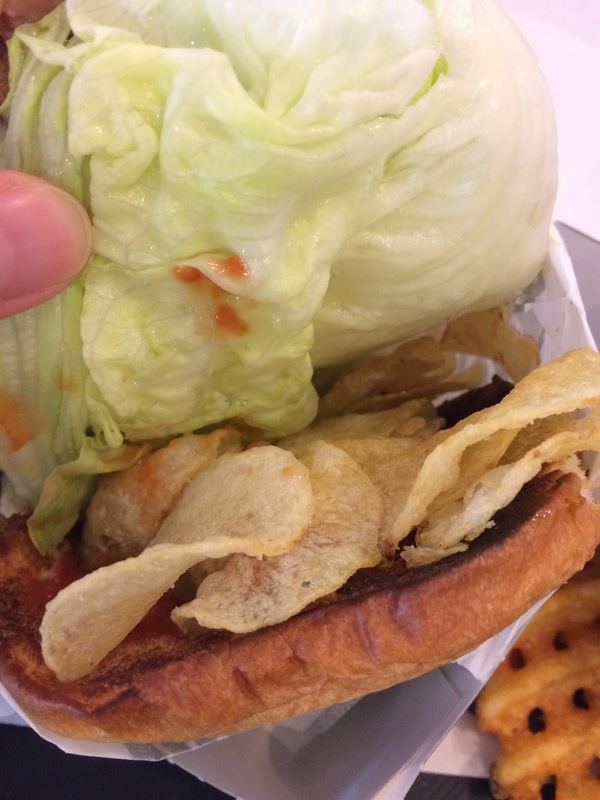 I'm not a huge fan of mustard, but somehow, it was adding refreshing sour and spicy flavor to this meaty burger and it's like a vinaigrette dressing for the tomatoes and lettuce with crunchy wavy sliced pickles. 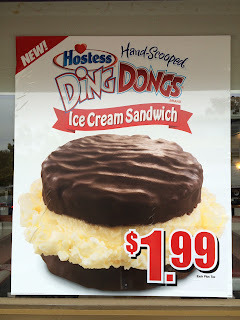 I was afraid it'd taste awful with tons of unnecessary calories, but I really enjoyed it. 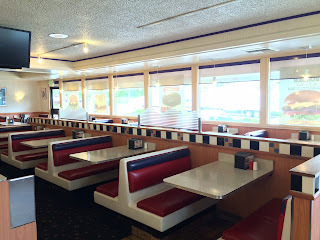 However, my husband stopped me eating after I ate about 2/3 or the burger as I had an ice cream to eat. 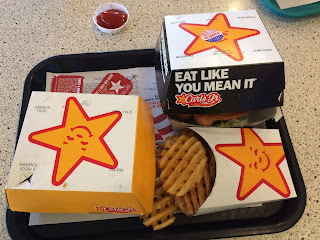 It may sound crazy, but I'd love to eat this again. LOLZ When I saw the news, I was like, "It doesn't sound good..." but of course that thought made me wanna try this burger. It's heavy, tall, and hard to eat but the taste was GOOD!